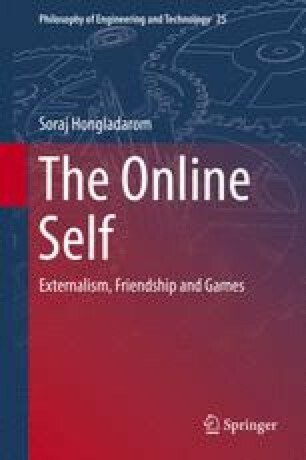 This chapter is an attempt to situate the analysis of the online self in the context of discussions in philosophy of technology, especially as regards to its critical aspect, which attempts to analyze technological phenomenon in terms of its impact mainly on socio-economic conditions. I discuss the views of some leading philosophers of technology, namely Heidegger, Marcuse, Borgmann, Ihde, Dreyfus, and Feenberg, especially concerning the online self and identity. I also discuss Floridi’s interesting distinction between responsibility and accountability in online agency in the chapter.